Heat exchangers are one of the most widely used industrial equipments. They play a vital role in regulating the temperature for various purposes. They have a broad range of applications in this sector. One must take extreme care towards its maintenance aspects. Here under, we suggest you a few methods for the same. Water jets should be the primary choice to clean the heat exchangers. This type of cleaning is effective, economical and eco-friendly. This process eliminates the need for disposing harmful solvents separately. Despite being better than water jet cleaning methods, chemical cleaning is not always advisable. There are many restrictions in this context. A few type of materials gets damaged when exposed to low pH solvents. In such cases, using water jets is the only suggested way. Regular heat exchanger tube cleaning activities can increase the life of the heat exchanger. The maintenance and cleaning activities should be scheduled as regularly as possible. We have to consider various aspects in this context like the size of the heat exchanger, work load, the metallurgy of the device and others. Failing to clean the device on a regular basis can lead to an increase of the sediments and deposits to dangerous levels. Many a times, the cleaning process is offline and we may have to disassemble the parts of the heat exchanger. This process consumes significant time, manpower and is also expensive. Of late, robotic heat exchanger cleaning techniques have come into use. These techniques require lest manpower and we don’t have to disassemble the entire setup. Every time you go out for the cleaning activities, ensure to get the bare metal at the end of the process, removing out all the sediments and deposits. Make sure that there are no traces of these deposits. By doing so, you can increase the time period between two successive cleaning cycles. The essence of the cleaning gets lost if there are any residual deposits. The plant will never work with its complete efficiency. It is highly recommended to polish the insides of the tube to ensure a complete cleaning. Carry out videoscopic inspection to get to know about the effectiveness of the cleaning activities. The shell sides, the interiors of the pipe and the tube bundles are highly endangered by deposits and sediments. This is the reason, the cleaning activities are majorly concentrated on these surfaces. In this regard, there are chances that the outer surface of the tubes can be neglected. The outer surface of the tubes also plays an important role in transferring the heat. Include cleaning of these surfaces in the maintenance activities. Carry out visual inspection after every cleaning session. The standard cleaning techniques are designed to meet a variety of heat exchangers. However, we have to treat every setup as a distinct one and understand the needs accordingly. Make necessary changes in the cleaning procedures after careful analyzation. 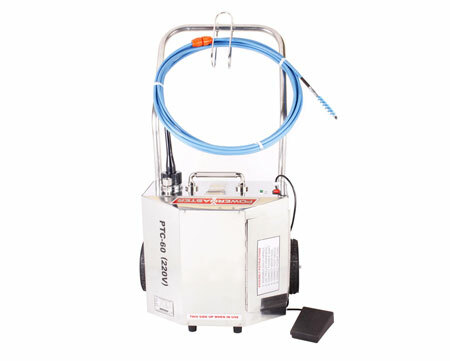 When you move out to purchase the tube cleaning equipment, make sure to select the perfect tools as per the type of application. In this regard, consider the factors like size and type of the heat exchanger, working fluid and others.